1. 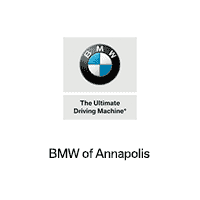 Why Buy From BMW of Annapolis? Bring your vehicle to our Annapolis location at 31 Old Mill Bottom Road, Annapolis, MD 21401 and receive a free written Appraisal and Commitment to Purchase – good for 3 days.